For Sale All Locations, South Carolina, Florence Hoffmeyer Rd. & Dunbarton Dr. 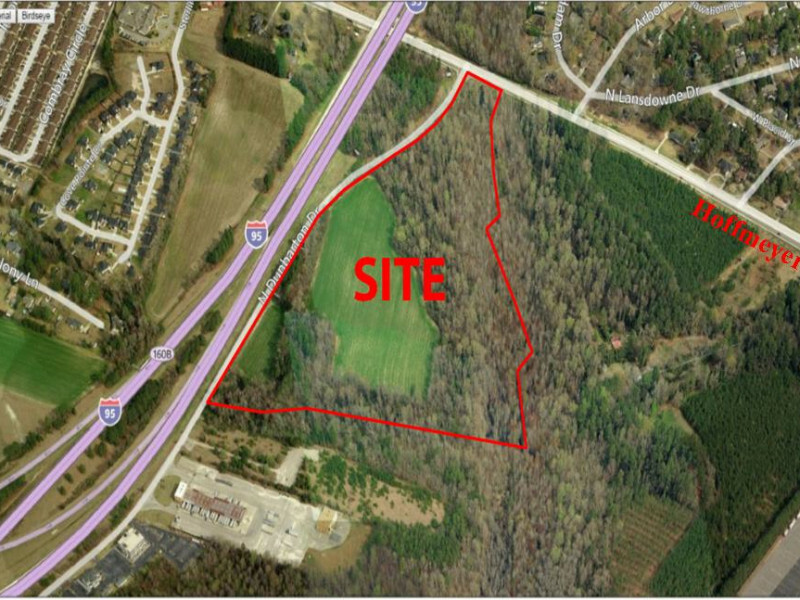 Situated just north of David McLeod Blvd, this site is in one of Florence’s fastest growing commercial markets and also adjacent to the nicest upper income residential neighborhoods in Florence! Hoffmeyer Rd is a heavily traveled 4-lane commuter and commercial corridor leading east to 5-Points intersection. David McLeod Blvd and 5-Points are home to national and regional retailers, food & beverage, and professional services. Neighbors include Wal-mart, Sam’s Club, Lowe’s, Ashley Furniture, Hobby Lobby, Magnolia Mall, Longhornes, Percy & Willies, Olive Garden, Buffalo Wild Wings, and many more. Less than one mile from I-95 and I-20. 10” city water line is located on Hoffmeyer Road and 18” city sewer line is located on the property. The site is ideal retail/ office or multi-family development.